See my article about MILLENNIAL LAWYERS published recently in Corporate Counsel. 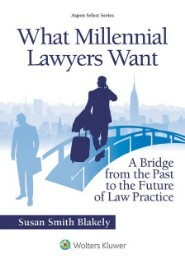 Here is the link: https://www.law.com/corpcounsel/2018/10/25/what-millennial-lawyers-want-a-bridge-from-the-past-to-the-future-of-law-practice/?slreturn=20180926090755. Millennial lawyers are going to like this, and senior lawyers are going to learn a lot! Everyone hates the LSAT, and that is the way we like it. Hating people is not good — in fact it is very, very bad — but hating tests is OK. So many former LSAT takers are very happy hating this ridiculous test (which only predicts success in the first semester of law school), and we want our bad memories left in tact. But, now we are told that the LSAT has a benefit beyond giving some people an edge toward law school acceptance. The benefit approach is just plain not fair or productive in the hating process. Here’s the scoop. A recent article cites research to support that the LSAT can actually make you smarter. Yes. You read that right. Smarter. Apparently neurons start firing better and more effectively when studying for and taking the LSAT, and response times are reduced while answering the many annoying questions during the test and test review. You would think it would be just the opposite and that the neurons would just doze off and try to sleep through the entire miserable experience. These researchers must be looking at some really tough or really bored neurons. So, all you LSAT haters need to listen up. You may need to mend your hating ways. In fact, if you want to get really smart, study for and take an LSAT several times each year. Even if you are already through law school and practicing law. You either want to get smarter or you don’t. No pain, no gain. Study those fact patterns 24-7, and see how smart you get. The results will be so impressive. You will walk taller, talk smarter, and feel superior to almost everyone. You may even want to have a t-shirt made with your highest LSAT score and your IQ printed on both the front and the back. That way, no one will miss this important message. And, it does not stop there. Your family will forget the “family first” policy, and there will be no chair for you at Thanksgiving dinner. And the people at the office … well, they thought you were weird to begin with, so no hope there. Or you could be satisfied to be an LSAT hater. For ever and ever. The percs are great. Fun people. Fun times. Fun life. 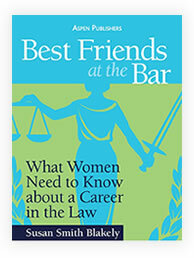 Have you considered the option of a women-owned law firm? Even if it is not appropriate for this time in your career, you should file the information away for a time when it might make more sense. 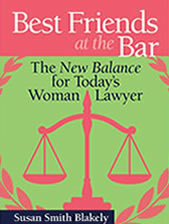 I have written about women-owned law firms before, especially in my second book, Best Friends at the Bar: The New Balance for Today’s Woman Lawyer (Wolters Kluwer/Aspen Publishers, 2012). 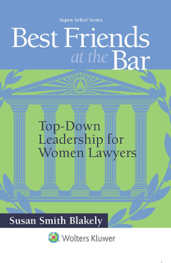 In that book, I devoted part of the discussion about alternatives to traditional law firms to the concept of women-owned firms because I recognized the importance of that option to those women who found traditional law firm practice unmanageable for their life styles. I wrote then, “If you can’t beat them, band together and beat them better.” And that is exactly what some women need to do and are doing. It was obvious to me then that a women-owned law firm could be an attractive alternative because it gives women some of the flexibility they need for home and family and provides back-up from colleagues who understand the work-life struggle. Those colleagues are all in the same boat, and they “get” the challenges. Whether it is flexibility to deal with sick children, flexibility to pick up kids from school, flexibility to attend children’s programs and teacher meetings, flexibility to deal with aging parents, or just plain flexibility to unwind a bit, mothers “get” other mothers. Or at least they should. Now, years later, it appears there are more reasons than work-life that make women-owned firms appealing. According to a recent article, a growing number of women are establishing women-owned firms more for reasons of frustration with gender inequality in the profession than for reasons associated with raising children or having more time for family. One of the founders of a women-owned firm is quoted in the article as saying, “If women were feeling valued, were getting properly rewarded for their efforts, were getting their fair share and it wasn’t a constant struggle to get your origination credit, and feel you are part of the team — then you would stay.” Makes perfect sense. As evidence of the growth in women-owned law firms, the Women’s Business Enterprise National Council reports that 16 per cent of newly-certified law firms in the recent five-year period are women-owned. Similar statistics are reported by other trade associations, including the National Association of Minority and Women Owned Firms. There was a particular emphasis in the article that I loved — that lawyers’ outside lives must function well enough for them to do their best work at the office. Bravo! It is so fundamental. There is much more in this article for you to chew on. Check it out. File it away. It may become important to you one day.